Held over the Mother’s Day weekend, the fair will include book sales, author talks and book signings, as well as the opportunity to win one of several book packages. 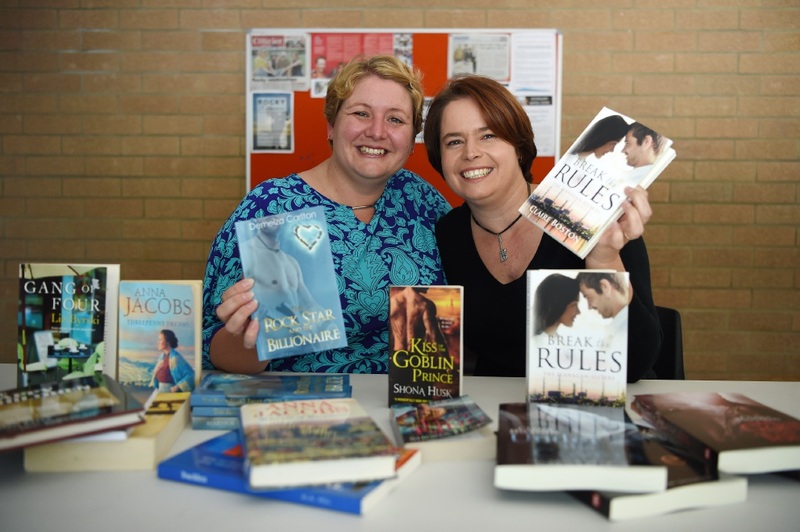 On top of this, opening night will give Ms Boston and Ms Carlton the unique opportunity to share their books with WA readers. Both authors are delighted to be launching their books and assisting in the promotion of reading, writing and literature at a local level. The Book Fair will be open from 9am to 4pm daily from May 7 to May 9 at the Rockingham Arts Centre. For more information, visit www.rockinghamwriterscentre.org or contact Bec on 0410 906 656. Claire Boston’s latest novel Break the Rules is the first in her new Flanagan Sisters series. The book follows on from her successful romance series The Texan Quartet. The first of this new series is full of the same passion and memorable characters that will tug at your heart strings and keep you turning page after page. Demelza Carlton’s novel The Rock Star and the Millionaire is the fourth in her award winning Romance Island Resort series. The book follows the adventures of Jay Felix, a 20-something rock star. This romantic comedy will have readers falling for the misguided bachelor who is looking for love in all the wrong places.